Are you looking for the best video producer you can get and need to know what to consider when picking somebody? Maybe you need to know what a video producer actually does because you’re aspiring to be one (or you are one) and need to know what’s expected of you? Read on, this will help. Excellent sense of pacing, rhythm, and aesthetics. Marketing skills, sales skills, a sense of humor, creativity. Marketing skills, business knowledge, imaginative aesthetic creativity. Great communication. Outgoing. Excellent sense of pacing. Knowledge of the industry and studio politics. Cinematographic eye. Top-level programming knowledge. High creativity and aesthetics. Has your producer worked several jobs and gigs? A variety of jobs is very important because it means your would-be producer cares about her craft. It gives the producer the kind of equanimity and deep knowledge necessary to manage an important production. Has your producer worked in any video production companies? Has she started her own? If so, what are her previous clients like? Looking at the clients that your producer has worked with is important in determining her level of expertise and industry knowledge. How much hands-on production experience does your producer have? Don’t just look for a producer who has assembled a good cast and crew. Look for a producer who has experience acting as a grip, cinematographer, director, editor, and camera operator. Look for a producer who has in the past created stories and scripts, who has set up lights, and who has lugged around film equipment. Check out her reel and LinkedIn to see this experience. If your producer doesn’t have a reel or any videos to show you, move on to somebody else. 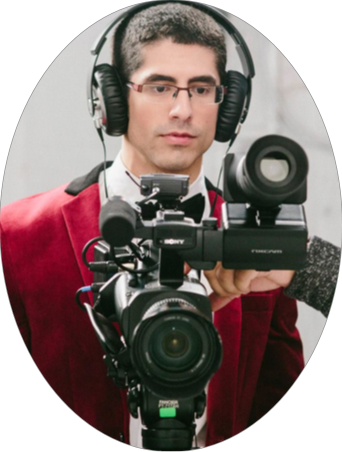 While the title of video producer can be very vague, on smaller scale productions, a producer is responsible for assembling a talented and professional cast and crew, as well as obtaining locations, financing, and permits. With super small scale productions, however, don’t be surprised if your producer is responsible for handling everything under the sun. On larger scale productions, a producer is more restricted to handling financing and finding talented staff to delegate responsibility to. If your producer is mainly making YouTube videos, have they performed well? Keep in mind that audience views aren’t everything. Perhaps your producer was making a niche video meant to hit a small, but very intentful audience. Understand that a YouTube or Vimeo video made for pay will be for commercial, advertising, and explainer video purposes. This means conversion metrics (which you can get from the company the video was produced for) will be more important than view, like, and share counts. If you’re looking for a music video producer, find out where his past music videos have appeared. Do a Google search for the video and see what comes up. Or, for another example, if you’re looking for a great animator, check to see if that animator has a nicely rendered reel, as this means the animator is most likely using sophisticated and high powered equipment. Unless you’re exclusively looking for a viral video, it’s crucial to keep in mind that different digital videos have different metrics and KPIs. This is also the case with videos made for film and TV. Finally, try to obtain testimonials or letters of recommendation. Looking for the lowest priced producer or video isn’t usually best. Expect to pay $1,500 – $3,000 for a quality small scale video. Under that and you’ll need to vet the producer really well. Over that will be due to a larger production or clear and established references. Larger scale videos and videos from more established producers or production companies will cost $50,000 – $200,000. For a low priced video, expect a qualified producer to cost 50-75% of the video’s total expenses. For a mid priced video, expect the producer to take 15-20%. For a high priced video, expect the producer to take 5-15%. Excellent communication is one of the most important skills to consider when hiring a producer. If you’re a producer and you’re reading this, it’s of the utmost importance to become the best communicator that you can be. When talking to your would-be producer, ask yourself how clearly that person is communicating herself to you. If the producer isn’t doing a good job explaining things that you want explained, search Craigslist, Indeed, or Upwork and hire somebody else. All the experience, communication skills, and visual and imaginative talent won’t matter if your producer doesn’t have a burning passion for what he does. Make sure you find somebody who really cares about his craft. Look for somebody who’s reading trade journals, not only in the video production sphere, but also in business and marketing. Your producer needs to be a jack-of-all trades, and you can tell that your producer is dedicated to his craft if he’s reading literature that will improve his content. Keep an eye out for those rare individuals who consistently put a great deal of care, thought, and effort into the media they produce. Interested in Making a Video Together? Now that you’ve been briefed on how to find a qualified video producer- make the next move. Vet my experience or that of Michael Sorace, my co-producer, and see if you think there could be a synergy.